Still can't make your mind up? View our full feature comparison. * Subject to reasonable use. Small Repair and Update Tasks must be requested one at a time and take no more than 30 minutes, only urgent tasks are completed on weekends. It's Easy to Sign up and get your site Secured, Updated, & Fixed. Subscribe to a Drupal Support Plan. Sign up for one of our monthly Drupal support and maintenance plans. Remember, there are no contracts, so you can change your plan or cancel at any time. There is No Risk in trying us out. Provide your Drupal Site's Details. As soon as you sign up, you will fill out a website profile form which gives us the necessary information to access your Drupal website so we can start securing it ASAP. We Onboard, Audit, and Secure It. Our Drupal experts will clone your site to our internal servers and audit your entire site. With the audit information, we make detailed notes of any special functionality, requirements, or intricacies to be aware of when performing your proactive security and maintenance services. Once the audit notes are complete, our team will immediately scan for any security issues and patch anything that is outstanding. How does billing work with Drupal Aid? We offer monthly recurring billing which automatically charges your credit or debit card each month. You never have to worry about missing a payment or mailing a check. There are no contracts and you can cancel at any time. Of course. You can upgrade, downgrade, or cancel at any time by visiting your logging into your Drupal Aid account. If you aren't sure how to access your account, contact us and we'll send you a link to your personal account. I'm thinking about signing up, when will you start? As soon as you choose a plan, we can get started right away. The first thing we do is audit the entire site and get familiar with how your developers set it up. Then we immediately scan it for security issues and get them remediated ASAP. Yes. 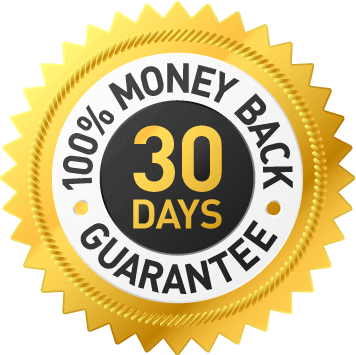 If you're not 100% satisfied with our service in the first 30 days, we will refund your subscription. What versions of Drupal do you support? We support Drupal 6, Drupal 7, and Drupal 8. Yes, we still support Drupal 6 LTS. Are Major version upgrades of Drupal included? No, upgrading from Drupal 6 to 7 or even 7 to 8 can be a painstaking process depending on the architecture of your site, the particular modules being used, and how your theme was constructed. Sometimes the same modules do not exist in the newer versions so you may need to rethink some functionality, and the theming layers between Drupal 6, 7, and 8 are all different so your theme will most likely need to be re-coded to work properly. The best time to do a major Drupal version upgrade is when you are doing a redesign of your website. Our proactive maintenance updates only cover security and code updates for your current major version of Drupal. Do I have to change my web hosting to work with you? No, you can keep your current host. We have many predeveloped workflows for working with many hosts, platforms, and custom environments. If you have a special workflow or host, then we'll develop a custom workflow so we can successfully work with your website. Yes, BUT, you must have a seperate Drupal Aid account for each site contained within your multisite. Despite multisites sharing a codebase, the individual sites can be totally different in nature and include their own unique modules. This can actually make multisites much more difficult to maintain because a single change in a shared codebase can have different effects in the various sites. So we treat each site as it's own and manually confirm that everything is updated and works properly. You guys are fast! I am so pleased with your work on the website. You are professional and efficient and I cannot tell you how much I appreciate it. Thank you @Drupal Aid for coming to my rescue and fixing my site so quickly! Fantastic customer service!!! We empower you to focus on your business without worrying about Drupal. You get access to the world's best developers for maintenance, support, & small jobs. 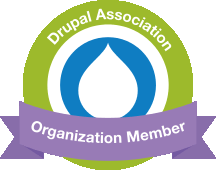 We do Drupal on a daily basis. We love fixing Drupal website problems and taking care of your Drupal issues. From basic CSS, to content types, to Views and Panels, we enjoy working within every facet of Drupal. From email to chat, having a Drupal support professional at your beck and call is priceless. Drupal Aid is a service provided by 2440 Media (2440media.com), a Pittsburgh-based web design firm started in 2002. Ready to Sign Up Your Drupal Site?